A healthy battery is essential to today's modern vehicles due to the complex electrical systems within. 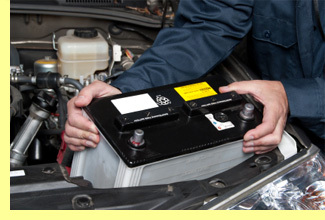 We will always check your battery before making a recommendation to recharge or replace. The vast majority of the batteries we supply come with a 3 year manufacturers warranty subject to status. So if you suspect a problem may exist with your battery please do not hesitate to pop in and see us before it lets you down on a cold winter morning. Fitting is free for all car batteries purchased from Bromby & Evans Ltd and at no extra cost we will dispose of your old battery in a safe and environmentally friendly way. 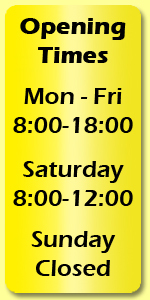 If you would like more information on replacement batteries in Tonbridge, Kent please do not hesitate to contact us.